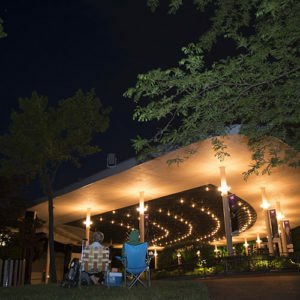 At Ravinia Park, in the northern suburb of Highland Park, the hustle of Chicago is far away, and people settle in for a night of music under the stars. It’s a summer tradition for generations of Illinois residents near and far. A sprawling lawn invites picnickers to arrive early—some folks pull out all the stops with candelabra and fine china! 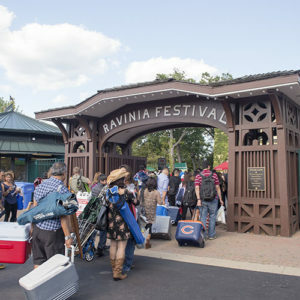 But there is also indoor dining pavillion with two full-service restaurants and the Ravinia Market where you can get delicious take-out food. Be sure to check out the delightful little gift shop there too. Performers are located in the large Pavillion or smaller Martin Theater, which provide more traditional concert settings with a limited number of seats. A state-of-the-art sound system broadcasts the music throughout the lawn area for the multitude of listeners who are scattered about. For convenience to and from the park, you can’t do better than the Ravinia Guest House. Located in a private neighborhood near Lake Michigan, it offers three guest rooms and an extensive full breakfast. Ravinia Guest House is a member of the Illinois Bed and Breakfast Association … a unique lodging experience! PHOTOS COURTESY OF RAVINIA/PATRICK GIBSON AND RUSSELL JENKINS. This entry was posted in Art and Music, Illinois Bed and Breakfasts and tagged Illinois Bed & Breakfasts, Music & Theater, Summer activities by admin. Bookmark the permalink.